The following article contains affiliate links, meaning I will receive a small commission if you purchase something at no additional cost to you. All opinions remain my own. For more information, see my full disclosure policy. Mother’s day is coming up quick (May 8! I thought I had more time…), so it’s time to start planning gifts and activities for mothers, grandmothers, mothers to be and any other woman you would like to celebrate. But what if you’re looking for something a little bit different? What do you get for the natural, offbeat, ecofriendly or hippie mama? Here are 5 Mother’s Day gifts for the crunchy mama. – If you’ve read any of the other gift guides I’ve written, you know that I love subscription boxes. They’re a tailored gift that keeps on giving even after the occasion is up. Who doesn’t like to receive packages in the mail? For mother’s day, there are a variety of boxes that are perfect for mothers of littles and mamas-to-be. Activity Box – For the mama that loves doing activities with her child, why not get a box that allows her to spend time with her little one? 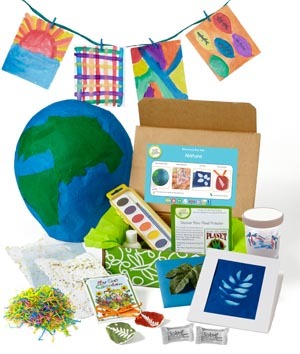 Green Kid Crafts is a box geared towards children ages 3-10 that is full of craft and science activities that are ecofriendly. Each month receive a box that full of science, math, or craft activities and instructions. Purchase at Green Kid CraftsGreen Kids Crafts. Pamper – Of course, not all things have to involve the kids. Pamper mom with a personal care or makeup boxes. 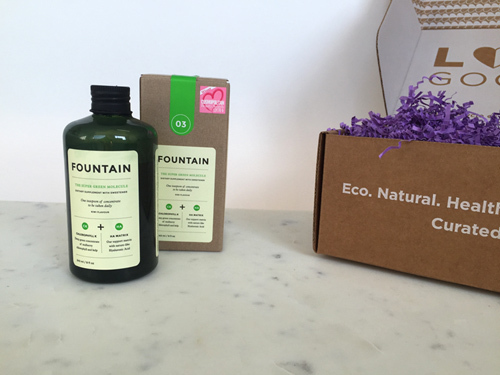 Love Goodly (affiliate) features 5-7 natural and vegan beauty products; boxes are bi-monthly. Terra Bella Box features natural and handmade beauty products. Mama-to-Be – Don’t forget the mama-to-be! It’s a great way to show her growing belly some love. Ecocentric Mom offers a variety of boxes with ecofriendly products for the pregnant mama, mama baby boxes, and just mama boxes. They include 5-9 samples and full size products. Purchase at Ecocentric Mom“>EcocentricMom.com (Affiliate link). And of course it none of these are doing it for you, Hello Subscription is a directory of subscription boxes. You’ll be sure to find something there. – This is a cute and unique gift for any mom. Paula’s Bears on Etsy will create a customer teddy bear using a fabric of your choosing. Send in some of her child’s (or multiple childrens) clothing for a unique and memorable gift. Available on Etsy. – Jewelry is fun, but why not pick something a little bit different? Indie and Harper have some beautiful, free spirited pieces, and this seed of life mandala pendent by Ananke Jewelry on Etsy is a good fit. For something more personalized, HollyDaze Designs does beautiful custom designs with breast milk, placenta, ashes, locks of hair and more. – Flowers are one of the top gifts on mother’s day; and for good reason. They’re beautiful, fragrant, and brighten up any room. It’s always made me sad when the flowers wilt and die. Why not give the gift of flowers that will last? Eco Flower is an online florists that sells bouquets made out of recycled or sustainable materials such as book pages, bulap, pallet wood and pine cones. They are individually scented and made to last. Alternatively, why not consider a bouquet of live flowers such as tulips or succulents? There are some beautiful arrangements available, and then mom has the option of enjoying them all year long. – Not a traditional mother’s day gift by any means, but can be thoughtful none the less. Serve mom breakfast in bed wrapped up in a new, pretty blanket. Crafty families could easily go to a fabric store and make a custom blanket for mom. For the boho/hippie mama, Jaipur Art Factory has some beautiful blankets and tapestries and Cariloha has some soft bamboo blankets. 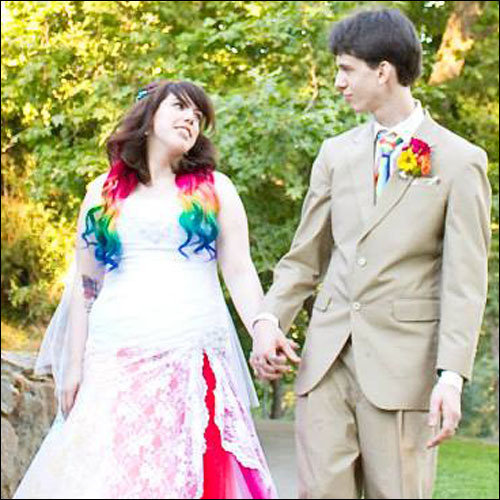 For a more personal gift, Shutterfly offers customized blankets in various sizes. Of course, there’s nothing wrong with crafting, or having the kids craft a mother’s day gift. And breakfast in bed is always great too – as long as all the dishes are cleaned up afterwards!